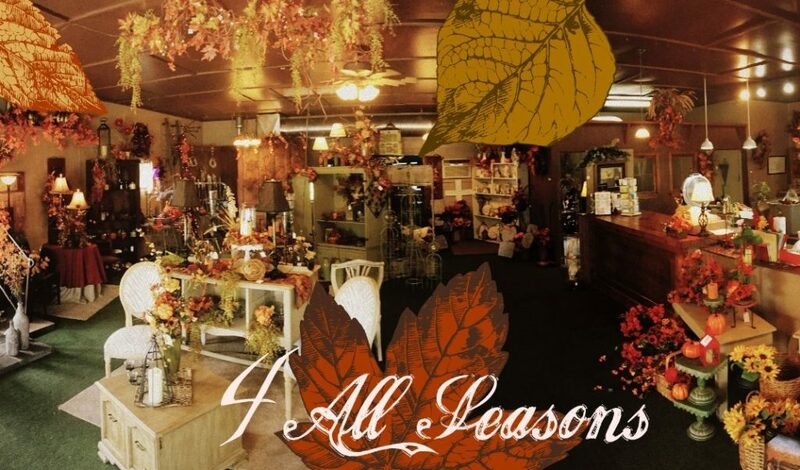 4 ALL SEASONS, owned operated by Marilyn Pilger, is a full service floral shop. She and her staff, all experienced designers, create fresh and silk floral arrangements for every occasion. They have home décor, gift items, and provide delivery and tux rental services. 4 All Seasons hours are Monday through Friday 8:00 a.m. to 5:00 p.m. and Saturday 9:00 a.m. to 12:00 p.m. During the Months of June, July, & August their summer hours are 8:30 a.m. to 4:30 p.m Monday through Friday and Saturday 9:00 a.m. to 12:00 p.m.